Cleveland Browns quarterback Johnny Manziel was back in the news over the weekend for all the wrong reasons. Late on Friday, NewsNet 5 in Cleveland broke the news that Manziel was pulled over by police earlier in the week following an alleged domestic dispute with this girlfriend, Colleen Elizabeth Crowley. In most cases, that would have probably been the end of the story. But with Manziel’s history of off-the-field problems, the story took on a greater focus. 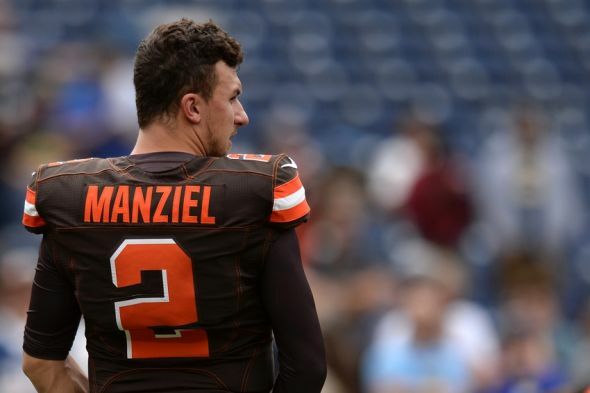 The question now is: What should the Browns do about Manziel? To find out the options the Browns are pondering, check out our latest post at Dawg Pound Daily.